Bose has unveiled a couple new sets of in-ear headphones that are made specifically to work with the iPhone and Samsung Galaxy devices. Each of those popular smartphones has their own version of the headphones with an in-line remote that allows the wearer to control calls and music on each device. 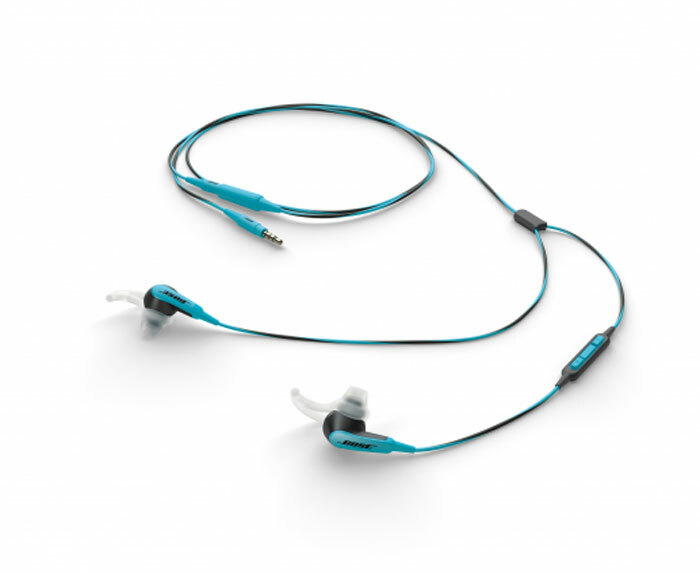 The new Bose headphones include the SoundTrue and the SoundSport. There are versions of the headphones that are for audio only and have no in-line remote. Both of the headphones models use TriPort designs for balanced sound and deep bass. The headphones also use StayHear tips to help keep the headphones in place with exertion. SoundSport headphones are designed specifically for highly active users and promise to stay in the ears during heavy exercise. The acoustic ports of the SoundSport headphones are covered with hydrophobic cloth to help keep moisture out. You can get the headphones in several colors for Apple and Samsung devices. The SoundTrue headphones come in black only for Android and a few colors for Apple devices. Both also ship with carry cases to keep them tangle free. SoundTrue headphones will sell for $99.95 for audio only versions and $129.95 for the iPhone or Android version. SoundSport headphones will sell for $149.95.